Beretta and Chuckie T are scheduled to play a big role on the New Beginning in USA shows this weekend for NJPW. It appears the popular tag-team won’t be with the promotion much longer, however. According to a report from Wrestling Observer Radio, both wrestlers have given their notice and are expected to finish up with the company shortly. 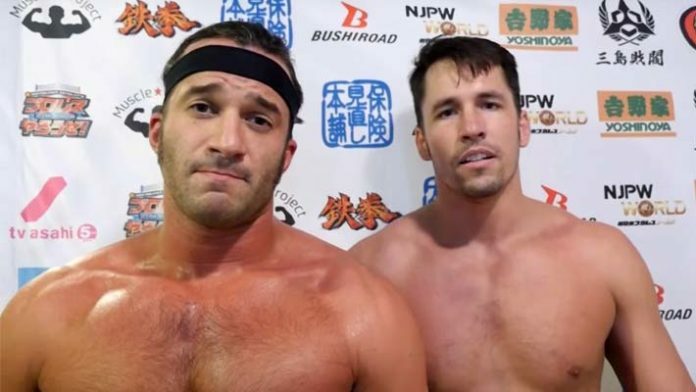 While there has been no word regarding the Best Friends signing with AEW, both Beretta and Chuckie T have appeared on the Being the Elite series frequently. The report would continue to say that storylines involving Beretta had been planned for the next year. Beretta is said to have verbally committed to a new deal with NJPW but never signed. He then backed away from the deal before signing officially. This apparently didn’t go over that well with NJPW management. He is scheduled to face Juice Robinson for the IWGP United States championship at the New Japan this weekend.